I like your eclectic taste very much! (I hope J's foot is healing very fast and well). Glad to hear Joan's foot is getting better. 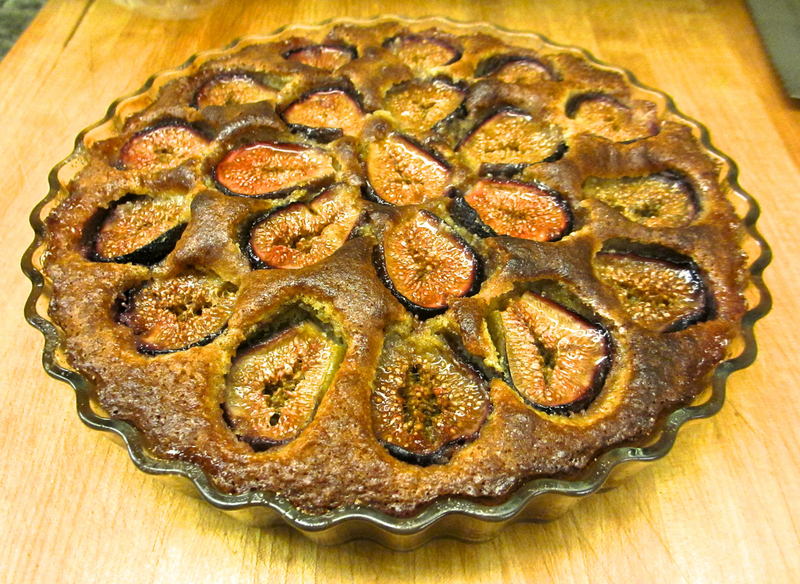 The fig cake looks delicious but your ice creams are what I want! It turns out that ice cream is really easy to make. My bible is David Lebovitz's The Perfect Scoop, but I have many sources. I generally use the Philadelphia style, which just uses milk and cream, thereby skipping the only tricky part, which is making and incorporating custard. The results are different but, in my view and based on comments from guests, equally satisfying. Bob, your month of cooking is inspiring! Thanks, Kate. I feel like the anti-Julie and Julia, never sticking to the same source for more than a day. But the fun thing for me is finding new sources of culinary inspiration, derived from cultural diversity, interesting ingredients and varied techniques, all of which are, of course, related.